The CT 209 is a satellite cube employing a very interesting full range driver by Tangband: the W 3-871. The driver's diameter is 9.4 cm, cooling is accomplished by a aluminium phase plug, the cone is made of paper. 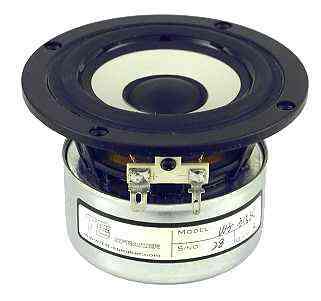 Due to its high total Q factor the driver may also be built into considerably bigger cabinets, enabling a slighter lower bass. Considering its size the CT 209 is an interesting satellite for low prized home cinema and PC systems. Since the driver's cone is relatively small we suggest to add a subwoofer. A possible solution for wall mounting is the CT 198. 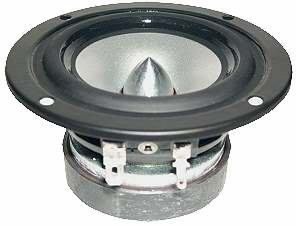 Also recommendable are the small Alcone Sub 10-150 or the less expensive Alcone Sub 10-80. 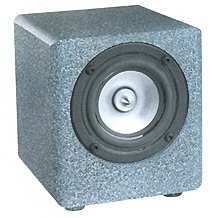 Both stand out due to their small size, at the same time delivering a remarkable low bass. For a slightly more lively and transparent sound we suggest the W3-315SC with aluminium cone. All other components are the same.